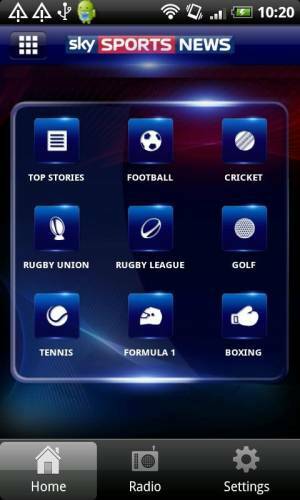 Sky have released a Sky Sports News app to the android market. There has obviously been a lot of work into the app, it looks really nice, has some good features and is very smooth. Included in the features are the latest news (together with video), live scores, fixtures, results and tables. They also list the latest sports to be shown on sky, which is handy. Â Definitely a keeper if you're into your Sport. It'll be staying on my SGSII anyway!